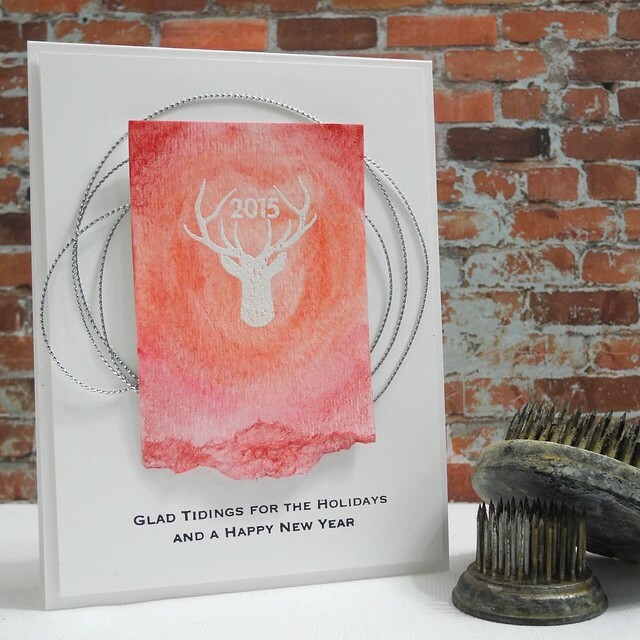 I have another card inspired by the Online Card Classes Holiday Card Workshop to share with you today! The Day 3 focus was watercolor and I decided to do a simple card (due to limited time) using the color blending techniques Kristina shared. 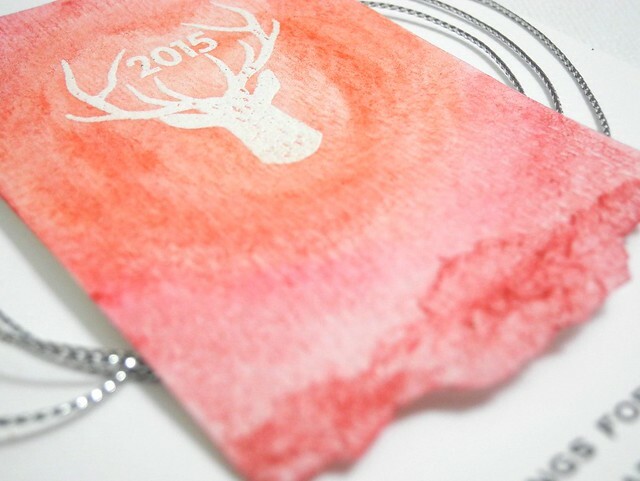 I stamped and embossed a small, torn strip of watercolor paper with this awesome deer stamp from Bossy Joscie. I then watercolored over the image with various red tones. I mounted the watercolored piece on a white panel with some silver metallic string behind it. The sentiment is from Simon Says Stamp Inside Holiday Greetings stamp set. Except I used it on the outside. Because I'm rebellious like that. For reals, though. I kept this design simple and I kind of love it. This one would actually be really easy to do in multiples, which is always a plus for holiday cards. I am not usually a torn paper fan, but watercolor paper just tears SO beautifully and I love how it looks when you paint over the torn edge. It just adds so much texture! LOVE! Now this is soooooooooooo cool Jennifer. This is great. Loving the watercolor on the torn edge. I really like this card Jennifer. I like the red colors, the simplicity of it and...I knew I should have taken that OCC...for reals! Absolutely gorgeous!Love everything about this card... from the watercolored background, to the metallic string and torn edge.. it's all perfect! Just took deer to the meat locker to have it made into sausage. I am not a watercolor fan, but after seeing your card, I might become one! LOVE this! The colors are great! Love that great watercolored panel with Joscie's stamp! THIS IS BEAUTIFUL!! I love that strip of watercolor!! I don't usually do torn edges, but oh my stars, it's awesome here!! Love your rebellious nature with the sentiment!! Everything about this is perfection! !